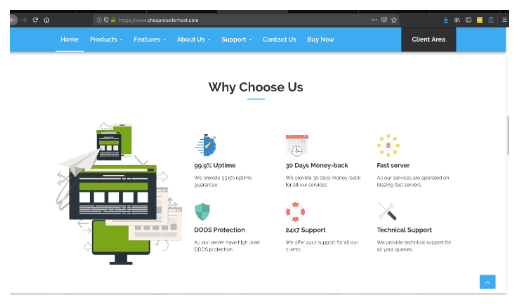 Cheap Reseller host Review 2019: Is Cheap Reseller host a Good Hosting? Cheap Reseller Host offers 99.9% uptime and better-than-average pricing on U.S.-based servers. However, a lack of SSH access means not all e-commerce merchants will be comfortable here. Cheap Reseller Host is a web hosting company offering servers in both Houston, Texas and Dallas, Texas, in the United States. Support is offered exclusively in English. Cheap Reseller Host offers shared, reseller, and VPS hosting plans, though all of these only support Linux. Plans come with the industry-standard 99.9% uptime guarantee. That said, while certain plans do come with a free domain attached, all of them require e-commerce merchants to purchase an SSL certificate separately. cPanel is also available, but where Cheap Reseller Host falls short is a lack of SSH access, a feature you will find with many other competitors. Beginning webmasters can also benefit from the Softaculous auto-installer, which gives one-click access to WordPress, Joomla, and Magento. In addition, there is a drag-and-drop website builder to help streamline the design and construction of your website. Overall, experienced webmasters will basically find everything they need here. However, the lack of SSH is a big minus for e-commerce merchants, who, despite having the use of remote databases and advanced programming languages, will have to host their website without secure remote access. One drawback is that despite the excellent feature list, there is no unmanaged option. This means very advanced webmasters who don’t want to pay a premium for management services will have to look elsewhere. There is a full 30-day money back guarantee on all of Cheap Reseller Host’s shared hosting plans. Unfortunately, there are no discounts offered for purchasing a longer term. Shared hosting plans are competitively priced. The price you’ll pay for the capacity — unlimited disk space, bandwidth, and MySQL databases — is less than the average elsewhere. Beginners and webmasters running medium-sized websites can’t do better than these entry-level plans. The relative value as you move up through the tiers comes from the addition of a free domain name and the ability to host additional domains. These plans offer good value for e-commerce websites and large networks, but the company requires you to lock in to a commitment of one or two years. Support options are good. 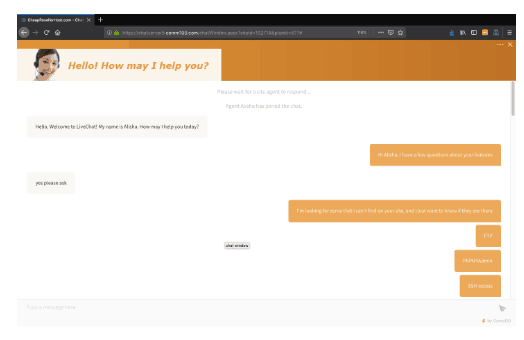 Support is listed as 24/7, and as you can see from the screenshot below, I was able to get an instant response on live chat despite contacting them in the middle of the night on a Saturday. Email and ticket support are also available, but not phone support. A knowledge base page exists on the website — but it does not have anything within it. Cheap Reseller Host offers U.S. servers with good functionality and capacities at an excellent price. Beginning and medium webmasters will find everything they need here, but e-commerce websites will need to balance the value offered against a lack of secure remote access. Wondering how Cheap Reseller host stacks up against other Web Hosting companies? Enter any other Web Hosting company and we will give you a side-by-side comparison.